Within the Small Groups and Calendar modules you are able to specify the location of groups and events so that prospective group members and event attenders can view a Google location map for the group or event on the public-facing group/event page. For various reasons it's sometimes the case that Google's map pin plotting is not sufficiently accurate, with map pins in the wrong position - perhaps over the wrong address entirely! Also, some countries and regions experience issues where Google's map data for a region is unable to plot addresses correctly e.g. new housing estates. In these cases you can easily edit map pin locations for events and small groups - simply dragging the pin to the correct location. 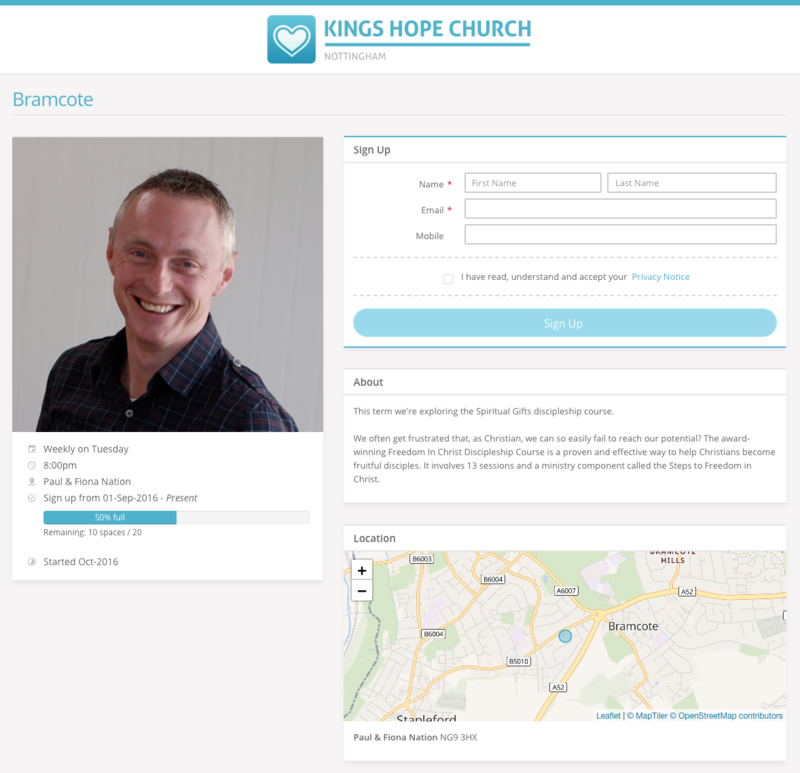 Once saved, ChurchSuite will remember that pin location; the system will also apply the map pin change to all other events and groups that use that same location. 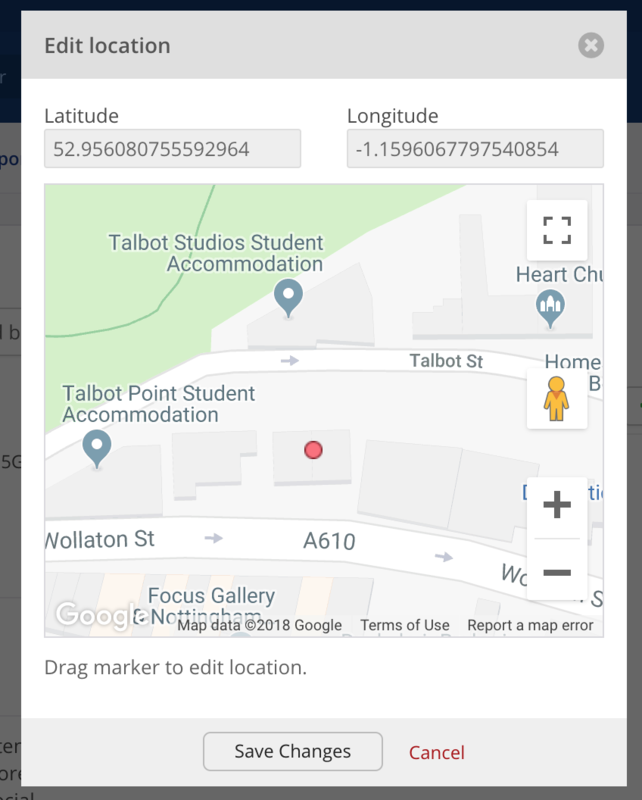 Where a group has a location and postcode specified, ChurchSuite plots the group meeting location on a Google map, viewable on the group page in your Small Groups module. The group location is also used in any web-embedded small group map and on the public-facing group sign-up pages to show prospective members where the group meets. From the group page in the Small Groups module, scroll down the page to the Maps tab. In Edit location you can now zoom right in and then drag the pin to the correct location. Once you are satisfied, click Save Changes and the new latitude and longitude references are saved against the group. If any other groups or events meet at the same location and postcode, those map pins are also updated. 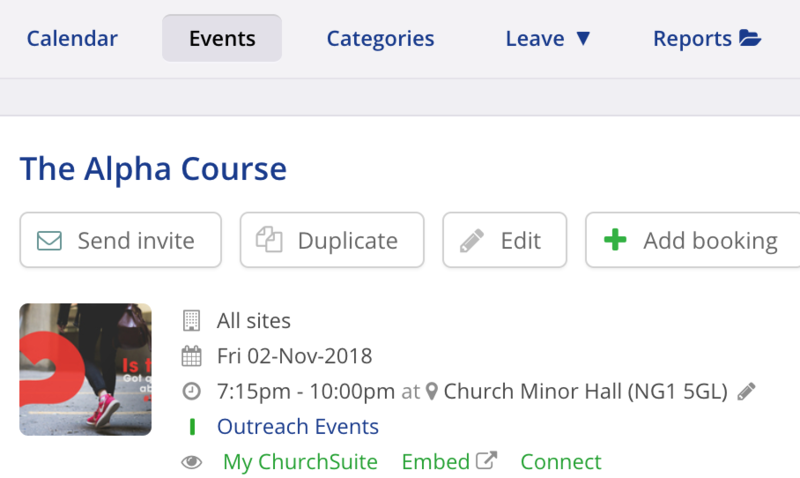 As with groups, where an event has a location and postcode specified, ChurchSuite plots the event location on a Google map, viewable on the event page in your Calendar module. The event location is also used in any embedded and public-facing event pages. From the event page in the Calendar module, click the "pencil" icon located at the end of the location and postcode. Once you are satisfied, click Save Changes and the new latitude and longitude references are saved against the event. 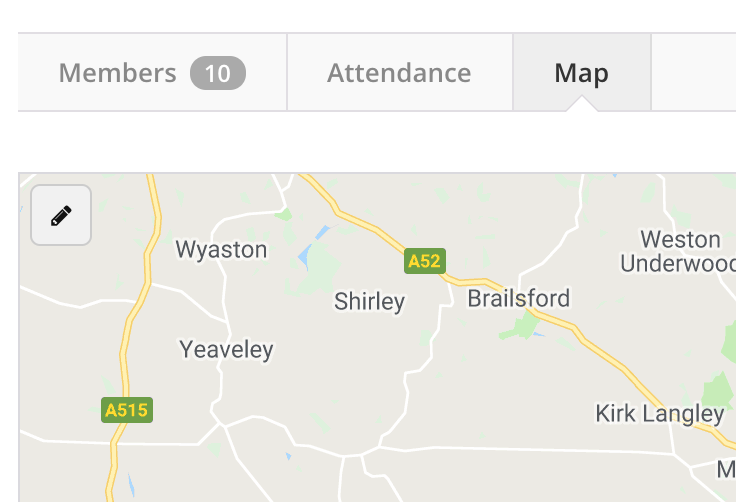 If any other events or groups meet at the same location and postcode, those map pins are also updated, including other events at the same location within the same sequence. The "Edit location" option will only change the long/lat coordinates stored for the address in question. 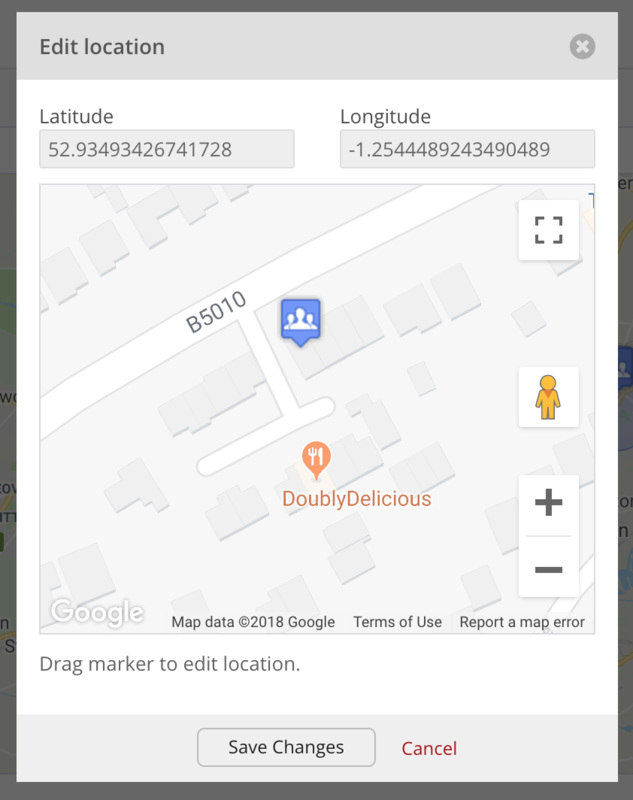 Moving the map pin will not change the address itself and so the feature is not intended to be used as an "address picker".